Fishing in Santorini Island is an experience that you have to try! The "Santorini Fishing Tours by Giorgaros", organizes all the details regarding the spots, the time, the equipment and everything you may need to enjoy your favourite activity in Santorini! 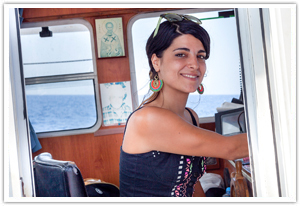 Anthi will be your Captain and she welcomes you on board! The younger member of a family with a long tradition on the island of Santorini is ready to offer you a wonderful fishing experience in Santorini. As fresh as you fished it, we will cook for you the catch of the day on the boat. A fish meal accompanied with traditional appetizers and drinks for all! The "Santorini Fishing Tours by Giorgaros" offer four different options and excursion types where you can enjoy fishing in Santorini. You can go on a private or semi-private fishing tour or you can choose from a morning hours to a sunset fishing tour. Read below all the details for the Santorini Fishing Tours and book yours now! Our traditional boat, Giorgaros, sails from Vlychada (the fishermen’s harbour) and the tour starts by lifting the nets or the creels from the previous day. The fishing tour experience begins. Then we stop at the White or Black Beach (depending on the weather) and the guests can swim, fish or relax as we cook the freshly-caught fish. The meal includes the catch of the day grilled, fried or as a soup accompanied by risotto and salad. The Morning Fishing Tour lasts from 10.00 to 15.00. Meal and beverages are included! The Sunset Fishing Tour also includes fishing on board, swimming and dinner at sunset time with the unique volcanic background of Santorini! 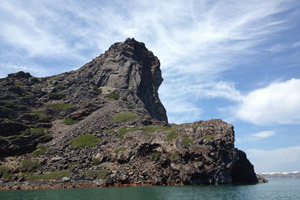 During the tour our crew will give you information about the geology of the island, the natural attractions such as the Indian Rock, the Cave of the Seal and so much more. The Sunset Fishing Tour lasts from 15.30 to 21.00. Meal and beverages are included! The Giorgaros fishing boat is licenced to fish in nearby islands as well; Available only on a private basis, this is a unique opportunity as it allows you to discover the landscapes and the seas of the Cycladic islands. Sail to the shores of Anafi, Ios and other nearby islands to enrich your fishing tour experience with the thrills and the treasures of the Aegean Sea. Dining, swimming and all the trivia on fishing in the Aegean will be provided to participants. If you choose to go fishing for tuna with Santorini Fishing Tours by Giorgaros keep in mind that this tour lasts an additional two hours and is available only on a private basis. 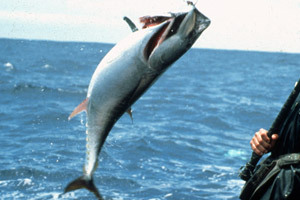 The Tuna Fishing Tour gives you the opportunity to enjoy the adventure of tuna fishing in the Aegean Sea. Besides fishing, swimming, sightseeing and dinner are also included in the tour schedule for a more complete experience. The Santorini Fishing Tour also offers you the option to participate in a Semi Private Fishing Tour with a maximum of 10 participants. Enjoy fishing in Santorini with an exchange of thoughts and actions with fellow fishing enthusiasts from all over the world. Arrange a fishing tour in Santorini just for you and your friends! The Santorini Fishing Tour also gives you the option of Private Fishing Tour with a tailor made programme to your specific interests. The number of participants can be 15 people maximum, so gather your pals and get ready to fish like a local or even visit the nearby islands for fishing! mzbea Help us prevent SPAM! 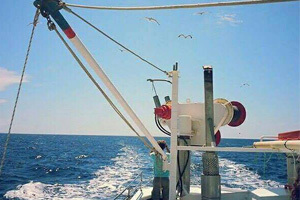 Extra Tip: If you are not really keen on fishing but you wish to accompany your friends and relatives in a Santorini Fishing Tour then you should know that there are plenty of interesting things for you to do on board! 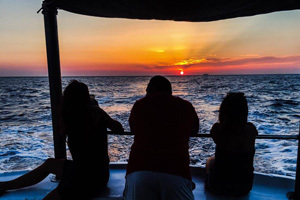 For example you will be able to enjoy the tour (boat's staff will guide you with all information about the sights and attractions that you will see), swimming, snorkelling and savouring mouth-watering delicacies. You can enjoy the unique volcanic landscape of Santorini and the famous sunset while others are trying to catch the fishes! Moreover, the Giorgaros fishing boat is comfortable and you can sunbathe and relax as you are sailing in the Aegean Sea and around the island of Santorini.